The long-delayed film had its world premiere at the Toronto International Film Festival in 2014. 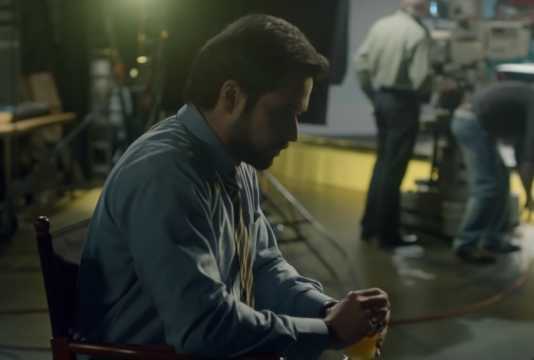 The digital platform ZEE5 will release their first Hindi original, Tigers, starring Emraan Hashmi on 21 November. Tigers is based on a true story of one whistleblowing salesman's fight against the company he works at to expose the truth about the baby products they sell. Produced by Guneet Monga, Anurag Kashyap and Hashmi's wife, Parveen, Tigers is directed by Academy Award-winning director Danis Tanovic. The Bosnian filmmaker famously beat out Lagaan (2001) in 2002 to win the Academy Award for Best Foreign Language Film for No Man's Land (2001). He has also co-written the screenplay with Andy Paterson. Hashmi plays salesman Syed Aamir Raza from Pakistan who takes on the fight to expose a corrupt corporate giant's practices. Tigers had its world premiere at the Toronto International Film Festival in 2014 and has been awaiting a release since then. Producer Monga, too, spoke about the film and its long journey towards release "Tigers is an important film – it is extremely relevant and topical. It is also an amazing collaboration of talent from around and has been a real labour of love. It has been an incredible honour working with Danis and Emraan on this one. 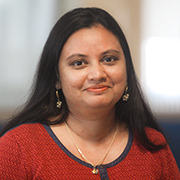 We are thrilled with Zee coming on board to distribute and release Tigers on ZEE5 as their first Hindi original film," she said in a press release. 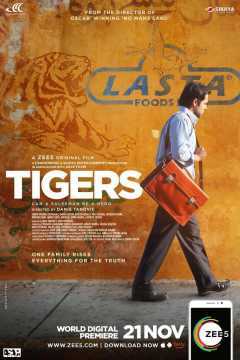 Tigers, which asks the question, 'Can a salesman be a hero? ', also stars Geetanjali Thapa, Adil Hussain, Supriya Pathak, Danny Huston and Satyadeep Mishra.